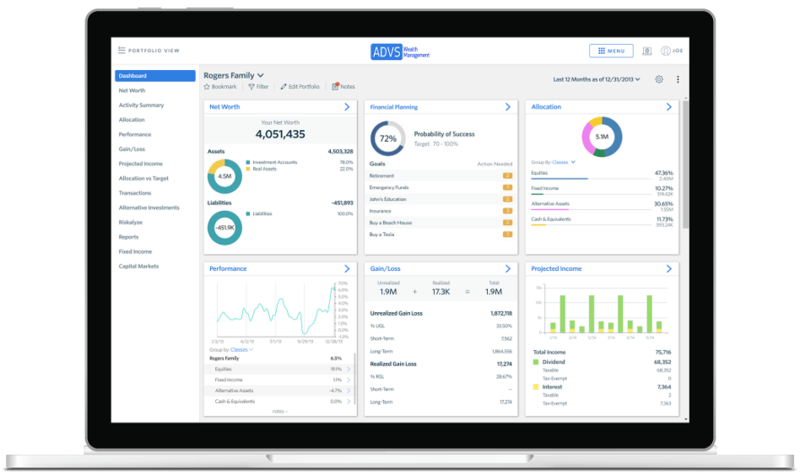 Advizr’s integration with the Black Diamond Wealth Platform enables financial advisors to create and deliver detailed financial plans in minutes. Advizr with Black Diamond: a partnership created to deliver better experiences for financial advisors. Receive first-level support for Advizr from your same Black Diamond support team. Incorporate Probability of Success charts on Monte Carlo trial simulation with recommended Action Steps for meeting certain goals into Black Diamond presentations and reports. Create transparency and save time through an interactive planning process. 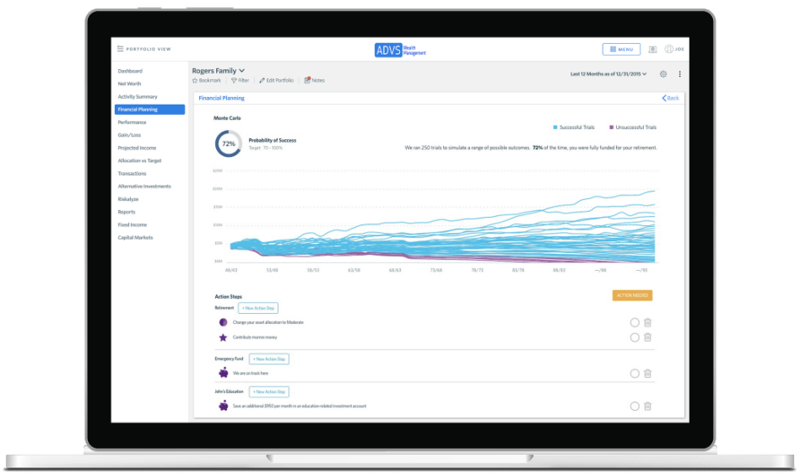 Our contextual integration makes it easier for advisors to leverage the power of both tools in a seamless single wealth platform. An interactive financial planning process saves time and leads to deeper client relationships. Adapts to goal-based or cash flow-based planning models to fit advisor preferences. Creates transparency and saves time through an interactive planning process. Shows how certain client decisions and scenarios will impact long-term plans. Displays all critical plan components in a single, streamlined dashboard. Learn more about using Advizr with Black Diamond by scheduling a personal demo.